We are highly acknowledged organization engaged in presenting a remarkable range of Fog Light Bezel Plastic Mould. Sri Sri Exports has created a renowned position in the market working as a Sole Proprietorship based firm. The operational office of the company is located at Chennai, Tamil Nadu (India). 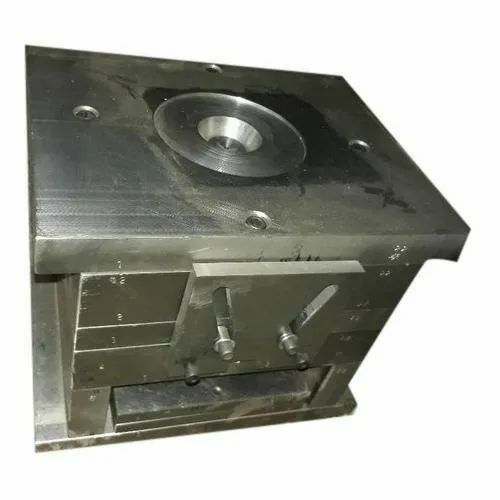 We are affianced in manufacturing, exporting and supplying wide range of Mechanical Die, Press Tool Component, Industrial Press Tool, Plastic Mould, Plastic Blow Mould, Areca Plate Die and many more. To meet the international quality standards, the offered products are manufactured using cutting edge technology and quality tested material. These are highly recognized in the market for unmatched quality, proficient performance, dimensional accuracy, rust resistance, longer service life and many more. In our organization, we have developed an advanced infrastructure facility, which enables us to deliver premium quality products in the market. The extensive range of products is precisely manufactured with the aid of our industrious team of engineers and technicians. Further, we procure the material from the best and authentic vendors of the market. They deliver the material to us within a stipulated time frame. Moreover, our quality analysts examine the products under various parameters. We make sure that the products are timely delivered at the customer’s end. Thus, we have created a reputed niche in this cut throat competitive market.